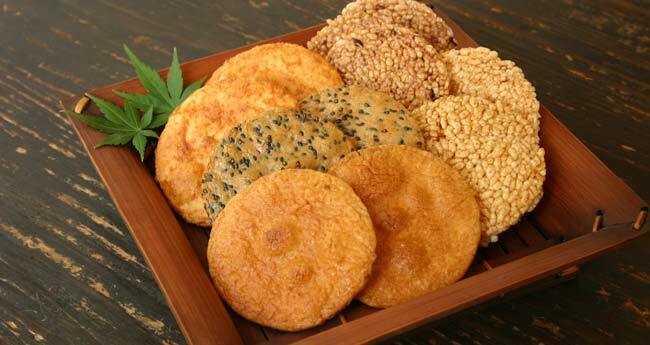 Soka Senbei is made from non-glutinous rice. 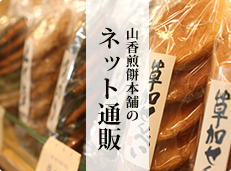 When senbei is made, first, the rice is powdered and steamed, then shaped and dried, and finally baked in the oven. A traditional senbei is round and soy sauce flavored but there are many unique flavors these days such as sesame, miso, seaweed, and sugar. 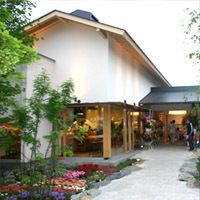 Soka Senbei Garden is a senbei-themed park located in Soka city, where you can experience making senbei. 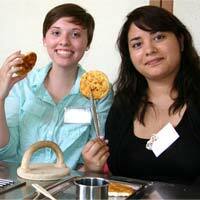 You can also visit the production studio and see the senbei chef make senbei with the charcoal fire. 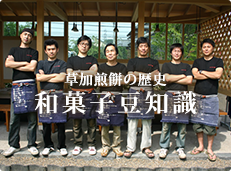 You can walk in and experience making senbei without reservations for up to 36 people for \500 each (excluding tax) for 2 senbei. You can also enjoy some coffee, snacks and sweets such as senbei-flavored swirl and senbei-flavored donuts at the café in the Garden. 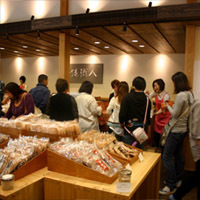 There are more than 120 kinds of senbei sold at the shop as well: the traditional senbei, Tenhare (senbei made from organic rice, made at the studio), and so on. Senbei straps and leather bags are sold at the shop as well. 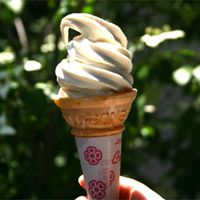 Copyright © 2011 草加せんべいの山香煎餅本舗 All Rights Reserved.